Pain is a very common problem for a lot of people, but more and more, they are turning away from conventional pain killers, opting for more permanent and less dangerous solutions. Here is how a chiropractor can help with your pain and a few of the different methods they’ll likely use. Back aches are a leading cause of complaints and visits to the doctor in the US, and also a main reason people go on prescription medications. Back aches can be caused by a number of things or even for no apparent reason you can think of. Just living day to day can leave you with an aching back that impedes activity. For millions the world over, though, chiropractic intervention is the only real relief there is. The neck, comprised of many delicate parts, can be injured easily, such as with a sudden breaking in a vehicle or car accident causing whiplash. Working at a desk all day can also lead to neck pain, because you’re stuck in the same position for hours on end. Often with neck issues, the problem persists without resolution and a person has no choice but to use harsh medications for relief. Chiropractic adjustments may be the one answer to problems with neck pain, often only discovered after many other options are exhausted. Poor posture leads to multiple problems and a lot of pain, but most people go through life slouching or otherwise not regarding their posture as an important component of physical health. Deformities can even develop if posture is bad for long periods of time, particularly for people who sit for long periods of time. Visiting a chiropractor can not only help relieve pain, it can also help improve posture. The shoulders house some very complicated joints that are easily damaged with lifting and other heavy work. Even light work that is repetitious can harm the shoulders, leading to constant pain. While it’s nearly impossible to cease use of the shoulders, seeing a chiropractor can put things back in order, eventually leading to pain-free use again. A slipped disc may be serious enough to require surgery, or just leave you in constant agony. Either way, one of the first professionals you should seek an opinion from is a chiropractor. They can quickly assess the situation and determine the best course of action, which may simply be a few adjustments or regular appointments. Problems like arthritis and fibromyalgia become more common with time and age, but they can also be genetic or use-related. When joints are stiff and inflamed, everything from walking to climbing stairs to opening a jar of peanut butter is difficult. While most of the time a prescription is given out by a physician, a chiropractor can develop a successful long-term plan to deal with joint problems and pain. This common method of chiropractic healing involves making adjustments to the spine to improve its overall functionality. It takes into account the lifestyle you lead, current health conditions and previous injuries. It may also involve retraining certain elements of the spine to return them to normal abilities. Sometimes areas outside of the spine will change how it ultimately functions, meaning the use of your hands, feet, knees and other parts impact the wellness of your spine. In such cases, chiropractic methodology addresses problems in the extremities, so that the spine can resume normal and pain-free function. This type of technique involves the use of a hand-held instrument, often to assist the chiropractor in figuring out how your leg and hip movement impacts your spine wellness. While it may sound less than gentle, it’s actually quite easy on the patient and even recommended for use in babies and those suffering with chronic and painful issues. Developed in the early 1920s, this common method addresses misalignments of the spine and remedies them through carefully executed pressure tactics. 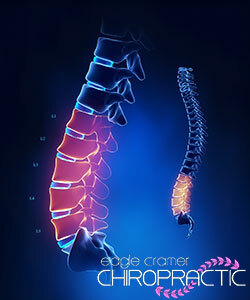 Dr. Cramer at Eagle Cramer Chiropractic uses the Palmer Method with his clients. Dr. D. D. Palmer was the founder of chiropractic. With his son, Dr. B.J. Palmer, often referred to as the developer of chiropractic for his life long research in the field, started the first chiropractic college in the world, Palmer School of Chiropractic later to be called Palmer College of Chiropractic (PCC). Palmer College, the fountainhead of chiropractic, continues to lead the profession in excellence. Click here to visit the PCC website. Although strong pain killers offer quick relief, they also come with a host of other problems, such as side-effects and possible addictions. When you are dealing with unbearable pain, think first about the many ways in which a chiropractor might be able to help; it could be one of the best decisions you make regarding your health and well-being. You can read more history and details on Chiropractic Medicine here. New to chiropractic? Unsure if it will help you? We’ve got you covered! Call our office to schedule a complimentary consultation to see if chiropractic care is the solution to your pain concerns. Dr. Cramer or his assistant will spend a few minutes interviewing you, answer any questions you may have, and come to a conclusion if you will benefit from care. This is a no risk consultation. I came to see Dr. Cramer to find some relief from chronic back pain and headaches. After a thorough exam, the good doctor was able to determine the cause of my pain and begin treatment. I can happily say that I am practically pain free on a regular basis. My quality of life has improved, my job performance has improved, and so has my mood as I am no longer struggling with chronic pain. The care and consideration I have received from Dr. Cramer is beyond fabulous. I have been to other chiropractors, but without the results I have experienced here. And Kellie, the Office Manager, is extremely delightful and professional. I highly recommend Dr. Cramer. The results speak for themselves.